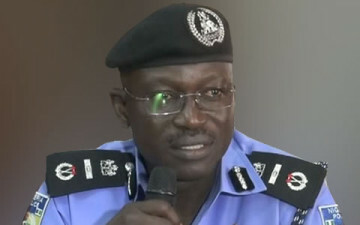 The acting Inspector General of Police, Suleiman Abba, has sounded a note of warning to people who have no business to conduct in Osun State this weekend, when the governorship election holds, to stay away during the period or have themselves to blame. Speaking to State House correspondents after a meeting with Vice President Namadi Sambo, in Abuja, on Monday, Abba maintained that only people with official duties to perform in the state would be allowed to move freely within the state during the election period. He also revealed that he had already made changes to the schedule of operations in Osun, which was prepared by his predecessor, M. D. Abubakar, in order to ensure peace and compliance with law and order. The new police boss disclosed that he had ordered policemen deployed in the state for election monitoring duties to depart ahead of schedule in order to familiarize themselves with the situation on ground especially as regards the election. He also warned politicians allegedly training thugs for the purpose of disrupting the election to desist as the police would not tolerate any untoward behavior before, during and after the election. “When I took over on Friday, I met an operational order in place. I went through it quickly and made a number of adjustments, which include the fact that we need to be there (Osun) early enough. “So I adjusted the time that officers were directed to report. I made sure that by Saturday, they were there. And the aim is that if anyone is training anybody to cause violence, we are telling him that we would make sure the law takes its course”, he said. On his strategy to combat the ongoing insurgency in parts of the country and other violent crimes, the acting IGP assured that he would disclose his plans by next week.